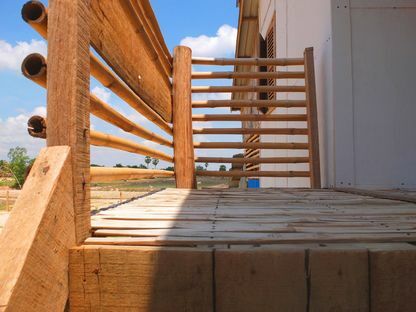 Creative, environmentally sustainable and affordable housing - that's Framework House, designed by Atelier COLE for Building Trust International and Habitat for Humanity Cambodia. 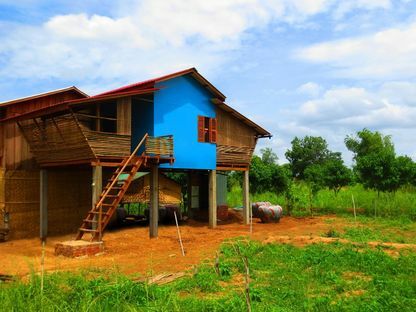 A sustainable, low-cost house frame with a limited carbon footprint that provides protection from floods and is created through collaboration with the local community, involved in the initial design through to the actual construction: nine prototypes of Framework House - the latest project by Atelier COLE for Building Trust International and NGO Habitat for Humanity Cambodia - have been built in the outskirts of Phnom Penh. 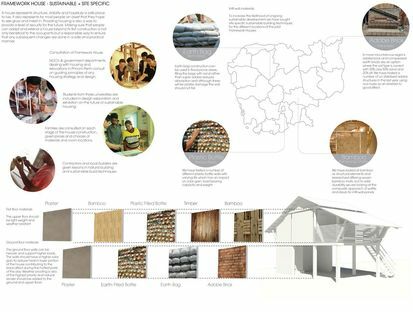 These houses are the result of thorough knowledge of the site, so they are a perfect response to the climate. 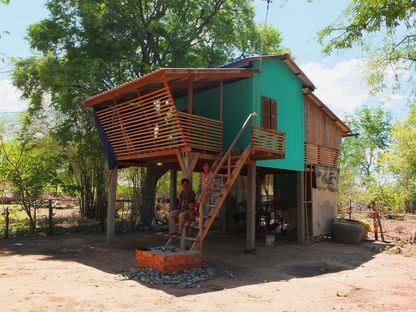 The actual living premises sit on a foundation of pre-cast concrete pillars to raise it up 1 metre as protection against floods, using traditional techniques and materials such as wood and bamboo, as well as bricks and steel. 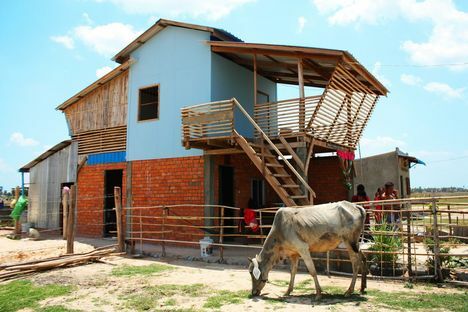 The overhanging roof is split into two to improve natural ventilation and provide protection against the heat. 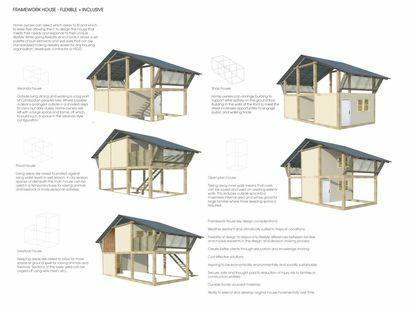 The “framework” itself is predefined, but the details are selected by the occupants/builders, who can develop and share their skills to adapt the basic model so it meets their own needs and surroundings. 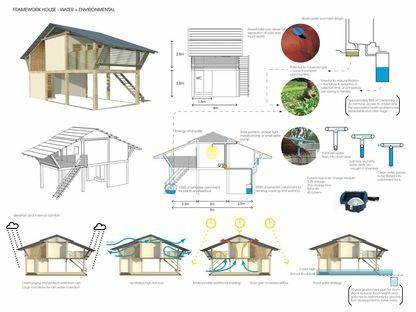 With Framework House, Atelier COLE and Building Trust International have created a so-called needs-based construction that offers ideas for safe living in areas with frequent flooding, at the same time making them attractive and comfortable for the occupants. 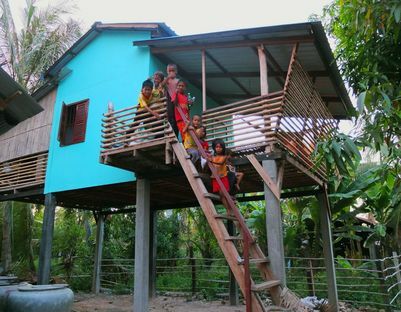 A sustainable project for only $ 2500 that is also designed for replication in other contexts.